The concept of coastal artillery has been around for a long time. With the invention of the cannon centuries ago, countries along the sea realized they could defend their shores from invasion by positioning guns at key locations. Important harbors and port cities became the primary location for defensive forts armed with artillery pieces. Think about our early history. 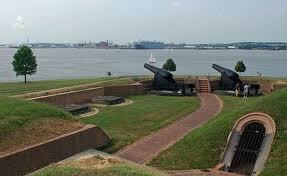 During the War of 1812 Fort McHenry defended Baltimore and we sing about it in our national anthem. At the tip of Manhattan in Battery Park the guns of Castle Clinton protected New York City during the same war. Even Fort Sumter’s guns were intended to defend Charleston from invaders, not fire on the Federal troops to start the Civil War. 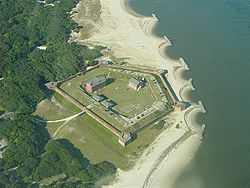 During the Civil War, locations like Fort Clinch on Amelia Island, Florida, and Fort Morgan in Mobile Bay, Alabama, controlled important shipping lanes. Confederates and Federals fought to occupy these key positions. 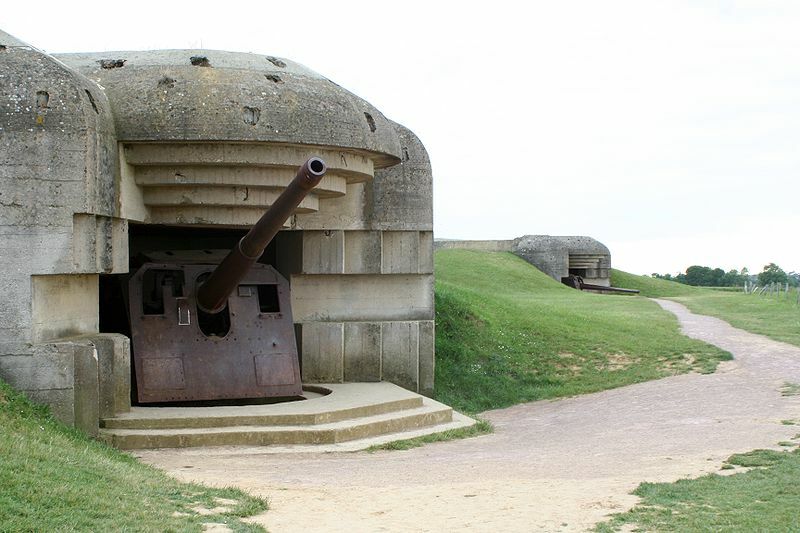 Hitler’s Atlantic Wall was a classic and extensive example of coastal artillery used to defend a coastline. Fortifications built along occupied Europe’s Atlantic Coast created a defensive wall against the Allied invasion that both sides knew was inevitable. 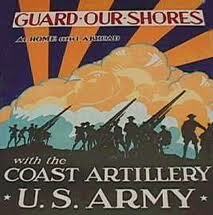 During WWII the Coastal Artillery was also a vital part of this America’s defense. After the attack on Pearl Harbor, the US expected the Japanese to attack the west coast. And German U-Boats were expected to attack US ports on the Atlantic and Gulf coasts. The Army updated the already existing forts and gun emplacements and added anti-aircraft guns. My father’s service in the coastal artillery from 1942 to 1943 spurred me to learn more about this now-defunct branch of the military. Stationed at the entrance to San Francisco bay, he manned huge guns aimed at the surrounding ocean to protect the city and the bay. The Presidio of San Francisco, a military post dating back to the Spanish and Mexican days, became the headquarters for defense of the west coast. Its location on the San Francisco side of the Golden Gate bridge oversaw the narrow entrance to the bay. 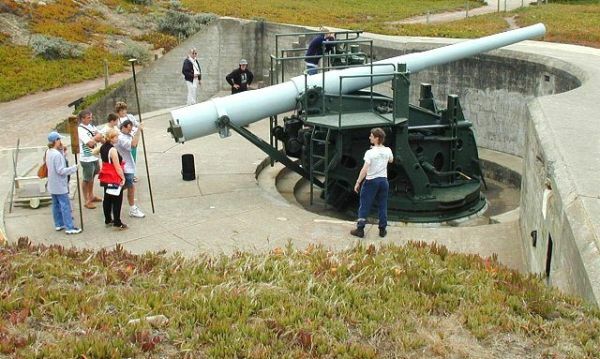 An extensive network of fortifications, gun emplacements, anti-aircraft guns and observation posts located on the opposite side, in what is now part of Golden Gate National Recreation Area, also protected the critical passage. The American military expected the Japanese to attempt to get into San Francisco Bay and wreak havoc so they developed defenses to prevent intrusion. The Navy laid minefields and stretched a huge anti-submarine net across the inner harbor. Navy tug boats would open and close it for authorized vessels. In 1939 a German submarine penetrated Scapa Flow, the main British naval base, and sank a battleship, so it was no far-fetched idea. During WWII San Francisco was the busiest port on the west coast. My father recalled looking out over the harbor and seeing thousands of ships, both military and civilian. He expressed pride in protecting this vital port. He told of manning the big guns, the blackouts along the coast and walking patrol on the beaches. The threat of saboteurs sneaking ashore was very real in those days. As the war progressed US forces destroyed much of the Japanese and German navies, thus reducing the threat to our coast line. Recapturing islands such as Midway and Wake made airborne attacks less likely. By 1944 the military realized that neither the Japanese nor the Germans could mount an invasion or a serious attack on the US. With manpower needed elsewhere in Europe and the Pacific, coastal artillery units were stripped and soldiers were reassigned to the field artillery or the infantry. That usually meant overseas duty for the men. It also spelled the end of the Coastal Artillery. Advances in the technology of warfare, through airplanes and missiles, caused the demise of the coastal artillery. After WWII with the advent of the Cold War, the Strategic Air Command (SAC) and inter-continental ballistic missiles (ICBM’s) took over the nation’s defense. And coastal artillery faded into history. A few of the locations remain as local or national parks and historic sites. Visit some of these unique sites for a stroll into the past.